Bring home the webslinger! From Marvel's Spider-Man: Homecoming comes this Spider-Man: Homecoming Pint Size Heroes Mini-Figure 3-Pack. 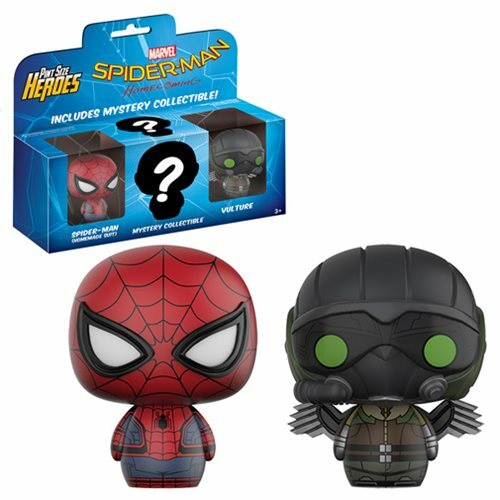 The set includes Spider-Man, Vulture, and blind packaged mystery character! Who will you get? Packed in a window display box, each Pint Size Hero measures approximately 1 1/2-inches tall. Ages 3 and up.